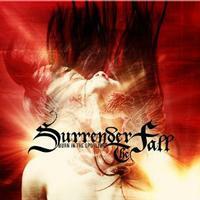 Look out Saliva, it appears you have some good competition when it comes to Surrender The Fall. This is one hot alternative rock band with metal, pop, and even some hip hop appeal. Every track simply fries paint off the walls. There is nothing but sophisticated sass going on here, pure energy and precision all the way, with lyrics that pull no more punches than the music itself. Rum Bum Records are rolling out the goods, and I just hope they continue to succeed in doing so, because this is a breath of clean air worth holding. "So take it down." This is a perfect video game track, as most on here are, but it would have to be an adult game concerning the lyrics. It is cutting edge all the way, with “hit” written all over it. The cut is absolutely menacing madness from beginning to end. By the time this is over one can easily tell this band are on a mission to the finish with hooks that are embedded into their songwriting and overall sound. This features some fantastic guitar work to back the multi layered vocals. Big choruses are highly what these songs are all about, and so far they deliver with pure ferocity. More killer lyrics drive this number home and back a hundred times over. Not only do they possess crafty songwriting but tons of gut level emotion. It just gets more fun as it goes, and this will have anyone rocking back and forth the entire track. This is an awesome shuffle, and that is a very unexpected twist at this point on the disc. They almost go southern fried for a minute but wind up in more of the usual approach. There is just something so contagious about it that you can't quite put your finger onto, and that is the hallmark of a really good song. It has that elusive element that haunts the mind trying to figure out the magic. They simply cut like a knife on this track. It’s very social political stuff. They take things down a notch in tempo here at first, but this quickly goes into full throttle. The lyrics of all of these songs are thought provoking and this one so far hits home the most. But they're all somehow relationship based, and I hear several likewise experiences in this song alone. Once again the vocals get multi layered and it just works so well in grabbing the listener by the ears and shaking them into oblivion. This has a lot of classic rock qualities, particularly 80s style. It’s a nice acoustic ballad that you don't see coming, but it's perfectly placed between the rest of these cleverly crafted pop songs with the heavy edge they possess. This is a great little tune with a big sound. More traditional guitar in the 80s vein kicks this one right into gear before once again leaving the vocal sector to shine throughout the rest of the track. This is one of the more vocally complex numbers, actually, and one of the most enjoyable, as well. This one is set up by a lovely acoustic motif, with a track more similar to a few others but has its own character with ups and downs in the arrangement. It might even be one of the highlights on the disc. This is a killer piece of music with more awesome vocals to carry it. At this point on the disc they could benefit from some more instrumental stretching, but it's not what they're all about, despite a musical prowess that puts it in their reach. If a soulful ballad is your thing, then they change it up just right here with a full blown one. Wait a second, at 2:49 in a four minute track they proceed to go back into full speed ahead till the end. I was thinking a better idea would be to stay the ballad course, but this band simply can't sit still long enough for that, and I'm sure their listeners will be happy about that. If some of these songs sound the same it's a good thing in this case, because this is good as anything else on the disc. This picks way back up as they deliver one of the more frantic numbers on offer. I suppose they resemble bands like Saliva the most here, but they do so well it doesn't make a difference. This is their generation and they grab it by the horns, and that is exactly what this is all about. By now, as everything comes to a close, all I can say is these guys rock! What a brutal closer it is, an instant classic of their persuasion.